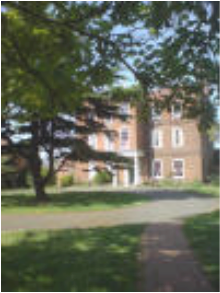 Bretons Preschool is located within the beautiful grounds at Bretons Outdoor Centre, Rainham Road. We offer sessional care for children from 2 years until school going age. Sessions run every morning from 9 am to 12pm and every afternoon - 12pm to 3pm, term time only. Children are also welcome to come for the full day - 9am to 3pm. MONDAY, TUESDAY, WEDNESDAY, THURSDAY and FRIDAY ONLY - 9am to 3PM. Fees: Fees: £15.00 per 3 hour session, or £30.00 for the full day, to be paid 4 weekly in advance. Our aim at Bretons Pre-School is to provide a safe, secure and stimulating environment where children feel happy and confident in their surroundings. We want the children in our care to have fun while learning and developing through play. All activities are carefully planned to meet the needs of all the individual children and are linked to the Early Years Foundation Stage. We are able to offer 15 hours per week funded sessions to all 3 year olds and also 2 year olds subject to criteria - please ask for details.